What does Klezmer have to do with Valentine’s Day you ask? Klezmer is the Jewish music of Eastern Europe, and Jewish immigrants from those areas who landed in New York in the early 20th Century. It’s a music full of exuberance and deep passion…perfect for romance! February’s Bacchanal falls on Valentine’s Day (Feb. 14) and we’re going to celebrate with a special Klezmer showcase featuring three bands that are appearing for the first time at the Bacchanal, although you’re sure to recognize many of the players from other bands…read on! 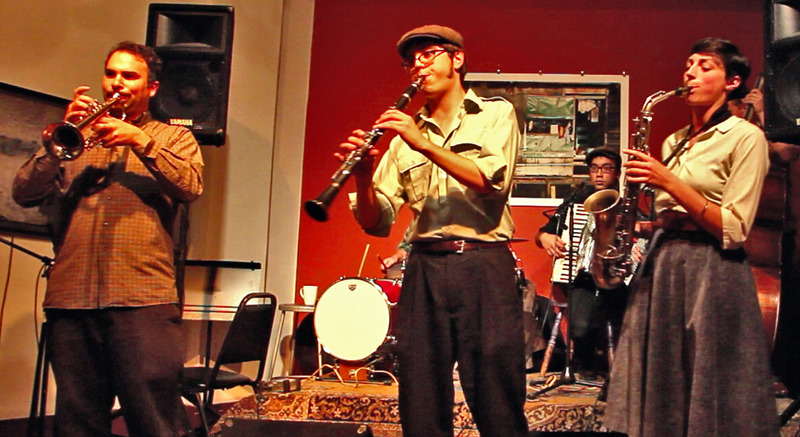 The Yiddish Serenaders are an Oakland based Klezmer band which celebrates Yiddish Song and fiddle music. Inspired by singers such as Molly Picon & Theodore Bikel and fiddle players such as Leo Schwartz and the unknown violinists of the “Early Yiddish Instrumental music” recordings they have unique sound which is old and contemporary at the same time. Imagine a fiddler an accordion player and a singer walking out of the mountains of Transylvania and onto the stage in Bucovina: this is the Yiddish Serenaders. 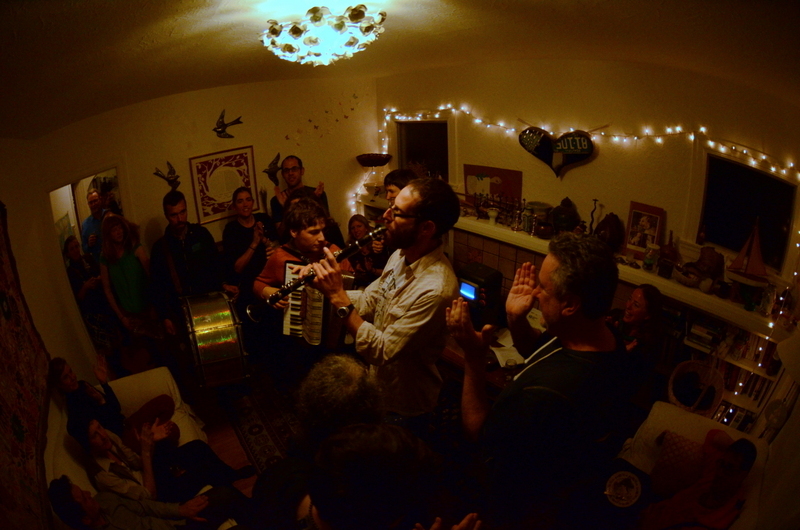 Orchestra Euphonos is the newest klezmer band in the Bay Area, founded by Peter Bonos in 2013. Their distinctly classic-yet-modern sound is characterized by an exuberant melodic sensibility and boistrous brass frontline. 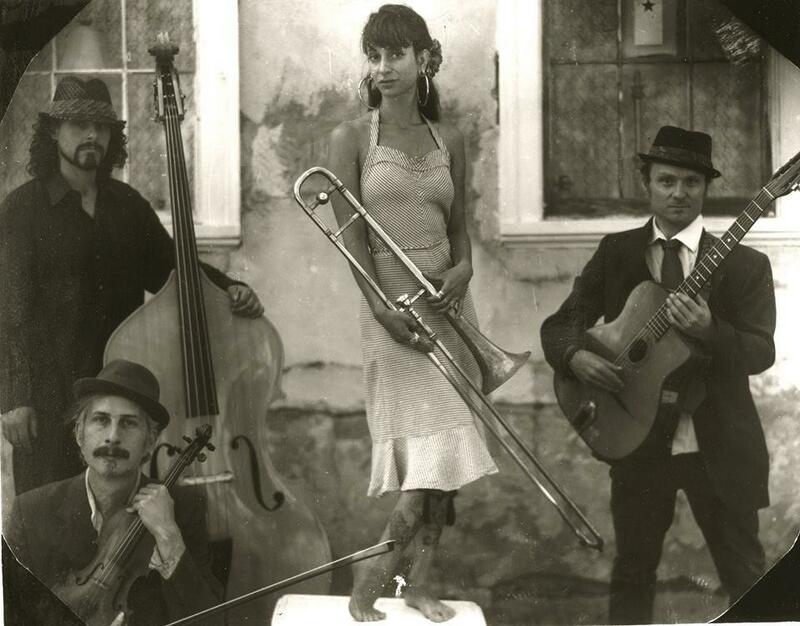 Their repertoire includes energetic Moldovan folk instrumentals plus familiar klezmer favorites. This performance will feature Peter Bonos, euphonium and trumpet; Annie Cilley, saxophone & violin; Travis Hendrix, clarinet; Kalei Yamanoha, accordion; Aaron Kierbal, drums and the debut of Juliana Frick on upright bass. ← A New Year and a New Monthly Slot!